We worked in the sugarhouse again today. The sap ran well last night, but was all quiet by today’s end. We need some cold weather now, to get us jump started again. The wind is cranking up and the rain is falling hard as I write. Looks like March may be coming in like a lion. I am OK with that. A little more winter snow, ice and mud followed by a real old-fashioned spring would be wonderful. It has been too many years since we could have blossoms not ruined by frost or deep snow.. and I won’t even talk about all of our rain last year. The sap roads are muddy. The horses trod through them like it’s no big deal. I tried walking through one…believe me… it’s a big deal. My boot wanted to stick and my foot wanted to move, the argument almost brought down the house. Had it not been for my cat-like reflexes, I would have been treading water for sure. 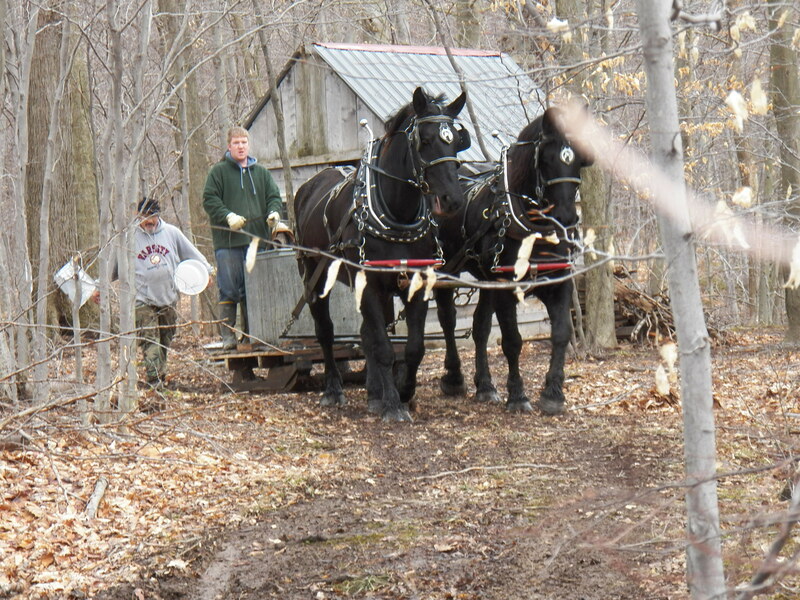 Work continues for the maple syrup operation. Today we got another sled load of firewood. That takes our woodshed total to 5 cords, not counting what we have already burned up. I believe that will be enough for this season. Although if I need to cut more … that would be a good problem to have, because that would mean an extended season! 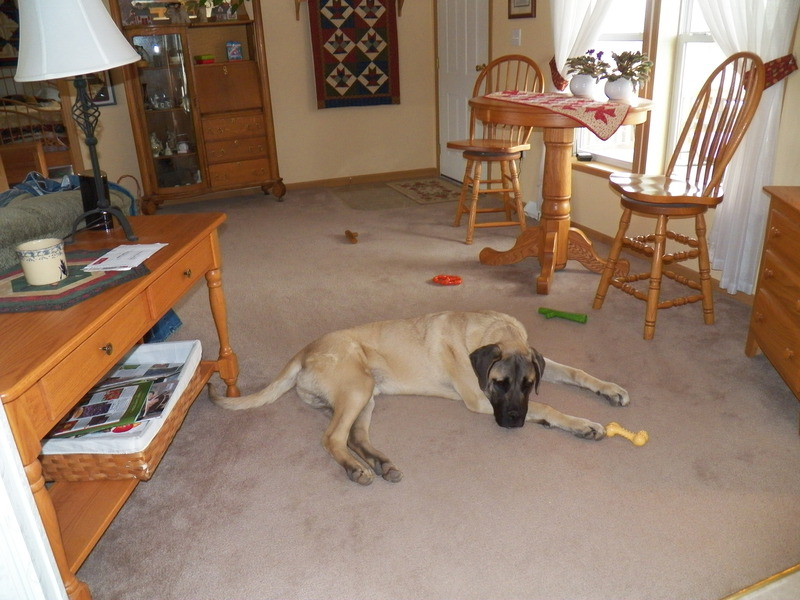 Hoss and Knight are taking it all in stride. Each day we do some kind of work. The way the weather looks, we may even get to plow some in this early season. I am enjoying my farm time and like the horses, I am just taking it all in stride. Our local news is very sad these last couple of days. A young man went to school and shot several kids in a random act of violence. The school where it happened is fifty miles away or so, but the sad feelings do not know the boundary of time and distance. My heart goes out to all the folks involved. I pray that Christ’s love will comfort the grieving families of the dead children and the family of the young shooter as well. A terrible senseless tragedy, that has touched the lives of many, causes all of us, to pause and pray. Rain is in the forecast for tomorrow. We will gather sap and surely get wet doing it. I am sure many of us will be soaked almost to the skin. The horses will be steamy as they work, but will pay no attention to the wet weather. They will just keep working and …… take it all in stride! 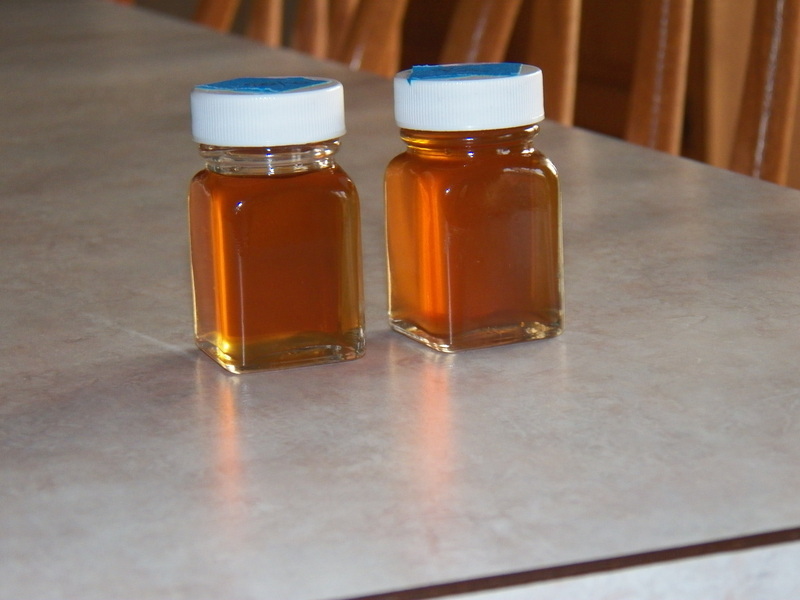 Here are two sample bottles representing our first two runs of syrup. The sweet stuff looks beautiful and tastes wonderful 😮 I would even say YUMMY! We gathered today, but probably should have waited until tomorrow. This whole thing is a learning curve. We gathered 1/2 full bags and the trees were dripping good. I am sure that by tomorrow, we will have half full bags once again. It makes no sense to cover the entire woods for only half the amount. I will say though, that we are getting good at it! The horses seem to take it all in stride and are enjoying the light loads due to my mis-judgement. Oh well, it’s not a production thing for me anyway … yet! I am enjoying myself no matter what. We did get in several good loads of split wood. The chunks burn well with the slab wood and hold the coals very well. This heat in my arch finishes the syrup better than any way that I have fired thus far. This is a learning curve for me, but I am enjoying the lessons. The maple syrup season continues. Today we boiled the last sap we had for the week. I was supposed to take it easy..well, I did,,,boiling is fun for me 😮 I must admit that I like driving the horses more than cooking, but the boiling is relaxing. Inside the sugarhouse there is plenty to do, lots of things to watch and plenty to worry about if you let it. I simply zone out and take it all in stride. Sure I keep an eye on many things at once and an ear out too for trouble, but I enjoy the process of making maple syrup. There is plenty of stress in life. I don’t want to have it in my farming ventures. If it’s not fun, then I don’t want to do it. I don’t mind the hard work because that relaxes me too. I refuse to be driven by greed or motivated by money. I need to survive. I need to break even, but more importantly I need to live. Life is not good with a bunch of self-imposed stress in it … if you have some, get rid of it! When we gather sap there is only the sound of nature, laughter and the small noises that the horses make. 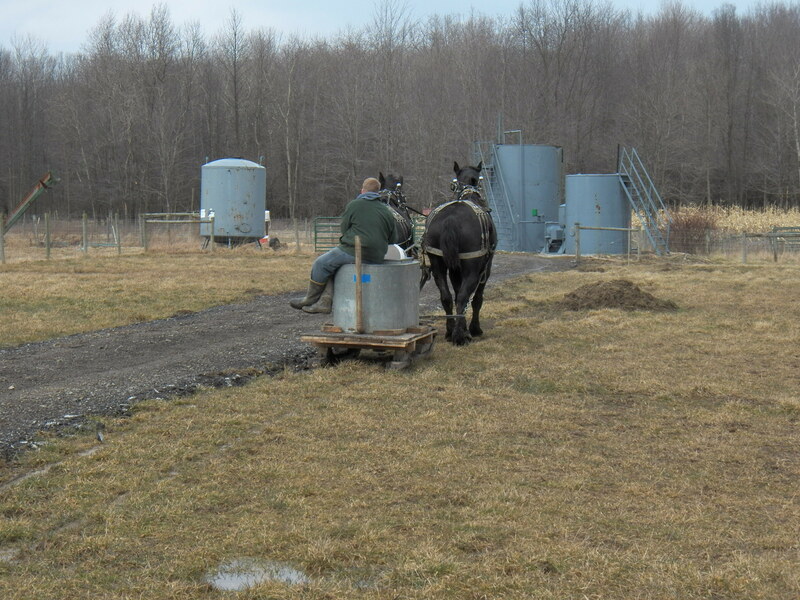 The harness jingles, the hoofbeats in the water and the sound of sap being poured into the tank are therapeutic for me. The laughter that comes from men working, at a job they enjoy, is peaceful music to the ears. We have about 500 taps in our woods and now that things are all worked out, I wish we would have tapped more. That sentiment is also felt by my family. I am glad that we have worked out the kinks this year. I am also glad to have done it without too much undue stress. Next year we will go bigger, but not so big as to out grow our current situation. When it comes to happiness, I can only say that we are … Going after more! The sap isn’t running today. I small winter storm has us in its grip. It is a good day to take a break. I am going to take care of a bunch of little things while we wait on the weather and the sap. It is a good day for cutting and splitting wood. That job is a little hard, but no pressure like the rush that comes with getting the fresh sap to the sugarhouse, then getting it boiled. It has been a great season so far and it looks like another big run for next week. Yesterday we boiled most of the day. It was supposed to get warm and sunny, but the clouds prevailed. The sap did not run much, but I stayed busy boiling with sap gathered the day before. King follows me out to the sugarhouse, but I make him stay outside. I don’t think a dog in there is a good idea. Especially one his size as I make my way through the steam. I did figure out how to use my copula to vent the steam better. This whole thing is a learning process and I am doing just that! I pray the weather continues to yield cold night and warm days at least for a little while longer, I need to recover a little of my expenses. 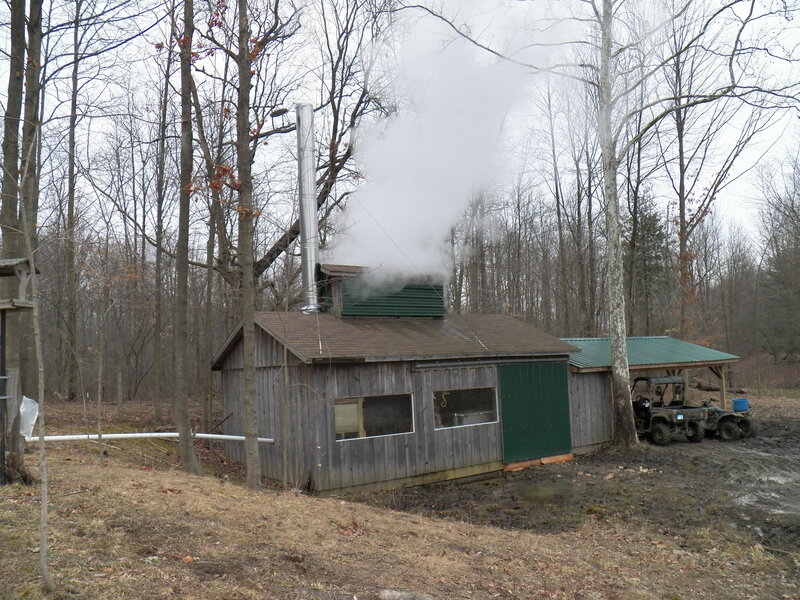 Yesterday we gathered our third run of maple sap. Jake drove the horses for a while. 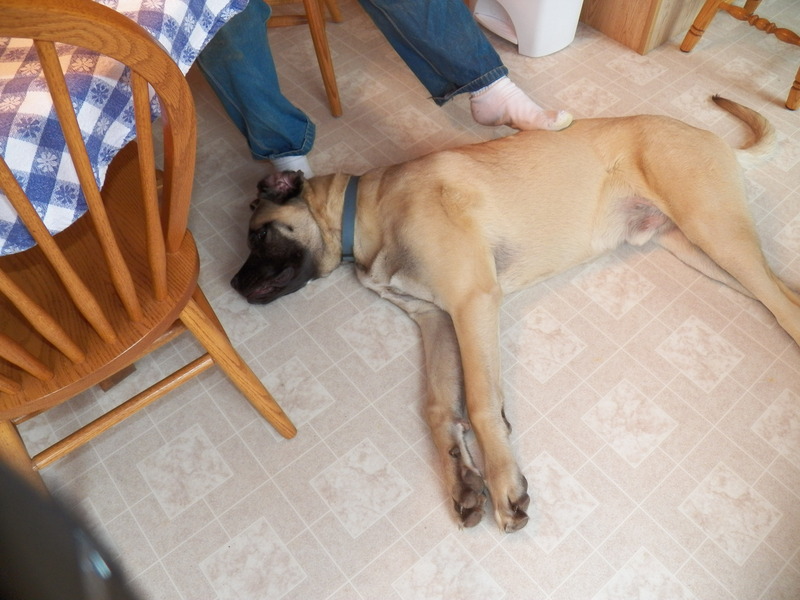 He gets along well and is a good teamster. 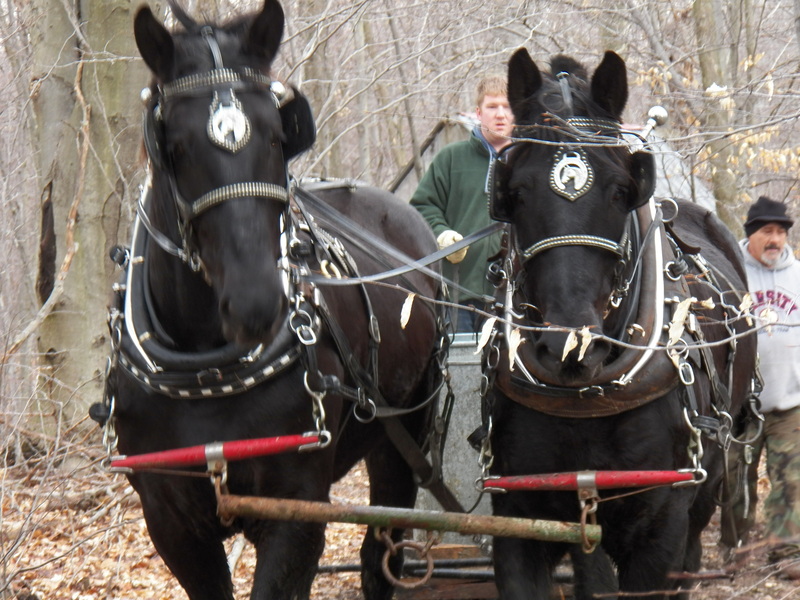 We come from a long line of draft horse people and maple sugar makers as well. There is no better mode of sap transport than draft animals. A tractor or 4-wheeler will get you through the woods and mud, of that I am sure. The only problem with those pieces of equipment is that they are not sustainable. They are also hard on the forest floor. The horses don’t get stuck. They don’t spin and they will even move themselves forward upon the sound of the teamster’s voice. I have fond memories of my grandpa working in his sugarbush gathering sap with his team. We would ride along and jump off to check the buckets. It was great fun. We were too little to do any real work, so it was more like a spring hayride than anything else.